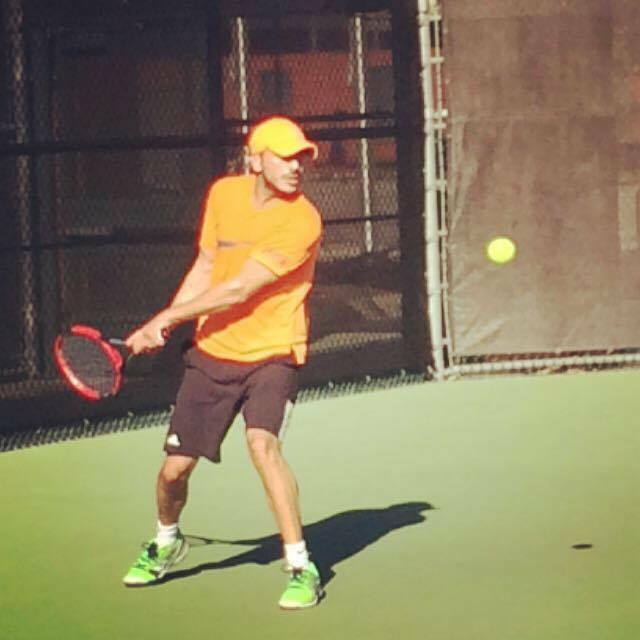 I am USPTA Tennis coach, who has a lot of experience and knowledge to teach tennis in different levels. I always teach tennis from different angles includes general education about tennis, stroke production and problem solving. My main goal of teaching tennis is make tennis players solid in all the levels which enables them to have better understanding of tennis, play solidly with partners and participating in tournaments successfully. The most enjoyable thing about my job is seeing my students are able to play tennis solidly and growing up and becoming more experienced in tennis every day. Aria, he is been my tennis coach for almost 10 months. He did teach me all the different strokes and movements very solidly. After 10 months I got the ability to play wit different players and challenge myself. In total, I am very satisfied with my recruitment. Its been great to work with Aria. He is a experiened tennis teacher and I have had very good progress so far. Aria is a professional, passionate tennis coach. He ecourages and motivaes you during lessons. I would love to recommend it to anyone who wants to learn or improve his/her tennis skills, no matter what level are you, he can lift you higher. Excellent passionate couch that I would recommend to everyone. Usually at the begining, I will assess the knowledge and the skills of my students, and then I will make a suitable plan with time schedule for each individual to work on all the necessary skills.